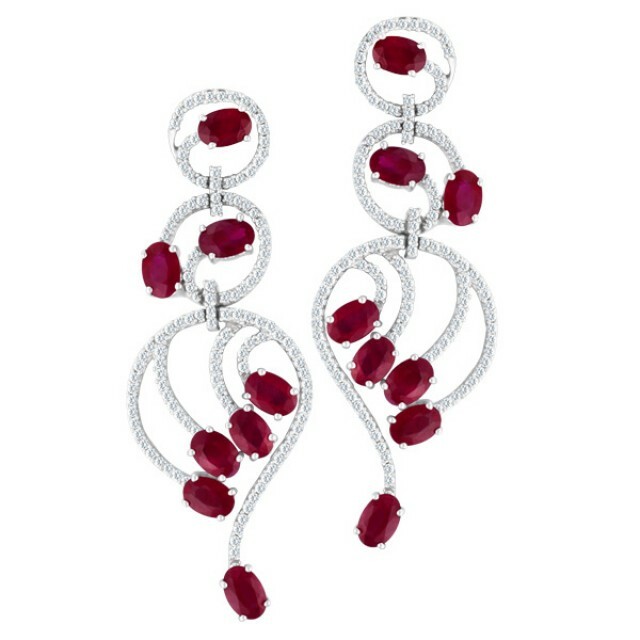 Ruby & diamond chandelier swirl design earrings in 18k white gold, app. 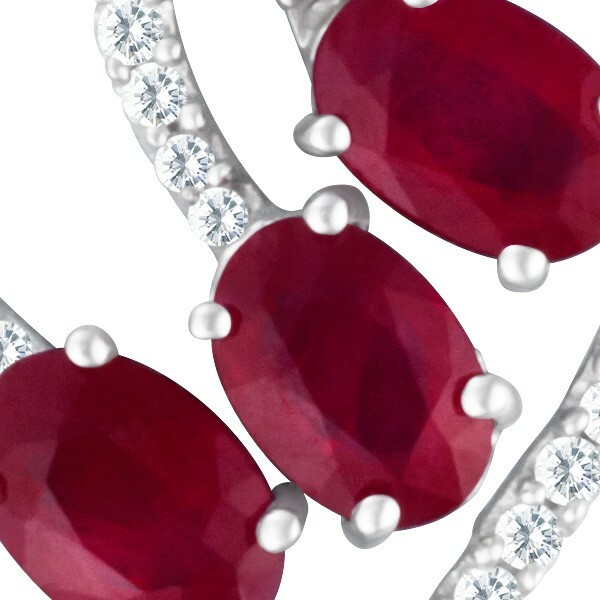 2.00 carats in oval cut rubies & app. 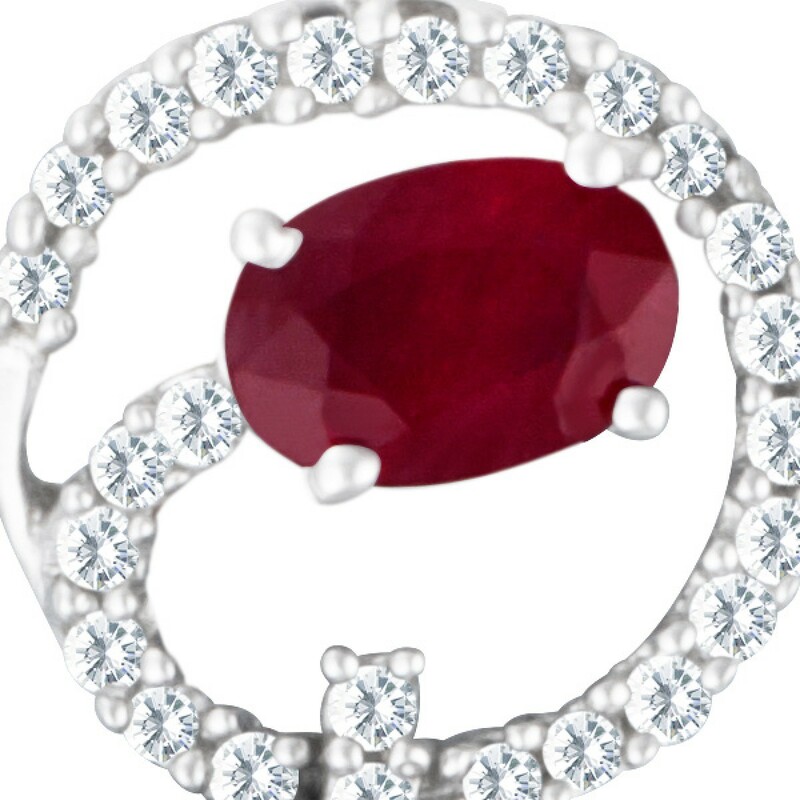 1.00 cts in micro pave round diamonds.